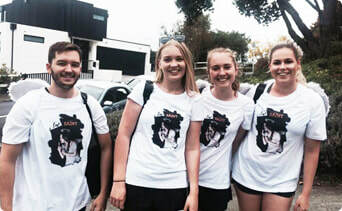 ​cost effective marketing of their products directly into the hands of customers in Auckland and around the country. Interested in ‘Out of the Box’ ideas for your brand? SWAS offer an enthusiastic team outside of the store too! Our dedicated, fun loving events team is catered to your needs. "I wanted to express my thanks to you and the team at SWAS for the outstanding work you have done for us in the past year. The level of service we have received from everyone has been amazing. We've had you doing everything from demonstrations to brand ambassador work, to instore installations of display stands, all with constant change along the way, and the team have simply never missed a beat. You have removed the stress of booking, running and reporting on demos, and have helped build our relationships with our customers immensely through the Brand Ambassador programme. We proudly recommend you to everyone we know, as you will increase the reputation of any company you work with. You are an amazing team and we look forward to continuing to grow our business with your team in the new year." "I have always been very impressed with the team from Service with a Smile. Whenever I talk to them it's clear they do their homework on their brands/ products, they certainly do justice to the products they are selling. The team always have a friendly smile and are super approachable. They proactively engage potential customers and make them feel comfortable. I love having them in our store." "Glasseye Creek Sauce Company has proudly been using SWAS since they first started business with great success. The level of service, reporting and consumer feedback is top notch, and most importantly, they represent our brand in the market place with smiles, enthusiasm, pride and integrity. Their involvement in the market place representing Glasseye Creek has played a significant role in growing our market and consumer awareness of our products. I only wish we had more SWAS's in the market. I have no hesitation whatsoever in recommending SWAS to be your brand ambassador." "Are you looking for a company to represent you and your products out in the market place? Somebody that will have passion for your products like they are their own. Lisa from SWAS will do just that! 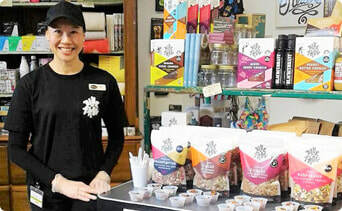 SWAS Group have been doing our tastings in all 3 Farro Stores. Initially we had a briefing about our products and the expectations we had. From there Lisa has done the rest. All store tastings have been organised, tastings done and a great report from each store has arrived on a Monday once the weekend tastings have been completed. Efficiency, Reliability & Results are 3 words that spring to mind. Thanks Lisa from SWAS!" "Hi Lisa, what a fabulous Brand Ambassador report – this is the best I’ve ever had - I’m so impressed! You’ve resulted in: Additional orders Great info about competitors products And improved presentation of the cheese in store We couldn’t have done any of this without you so congratulations on a very successful first visit (in torrential rain too…your baptism?) Well done, what a great start for you! You’ve knocked my socks off! " "Lisa from SWAS has been an absolute pleasure to work with, accommodating our needs and securing demonstrations in our key stores at times that best work for us. Their demonstrations always run smoothly with great uptake and their ability to solve problems (that may arise along the way) puts them at a level above the rest. Thanks for all the great work!" ""The team at SWAS are passionately and professionally promoting our products in the most effective way over the last year. Once you have given SWAS clear instructions, Lisa at SWAS takes care of all your needs efficiently and you'll receive a comprehensive, honest report - which is a good basis for future sales. We can highly recommend SWAS for in store sampling." "​We have used SWAS Group for our tastings for the past 3 years and have been delighted by the results. 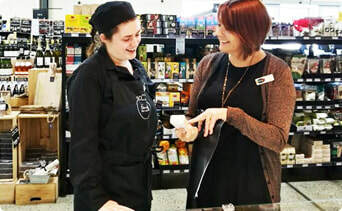 Their tasters are great - particularly Lisa as she is one of the best tasting people in Auckland - and this recommendation comes not only from me but from the stores where Lisa tastes for Olivo." "Just wanted to say thanks to you and your team for helping out at the Mitre 10 Kitchen Expo and at the Auckland Foodshow recently for BRITA. You are a pleasure to work with, and your skills are beyond your years. I would not hesitate to use you or your team again in the future and I hope you will be available to work the Foodshow with me again next year. You are an inspiration Hayley"
"I am very impressed with the amazing service I received from the SWAS Group. In 12 hours they managed to provide me with amazing promotional staff at a great rate. A+++ service"